Ashley Stewart®, the leading lifestyle and social commerce brand, has launched the ME BY EMME® 2019 capsule dress collection in partnership with iconic supermodel Emme ’85. The yearlong partnership consists of 12 new trend-forward dress styles that are perfect for the modern-day woman. 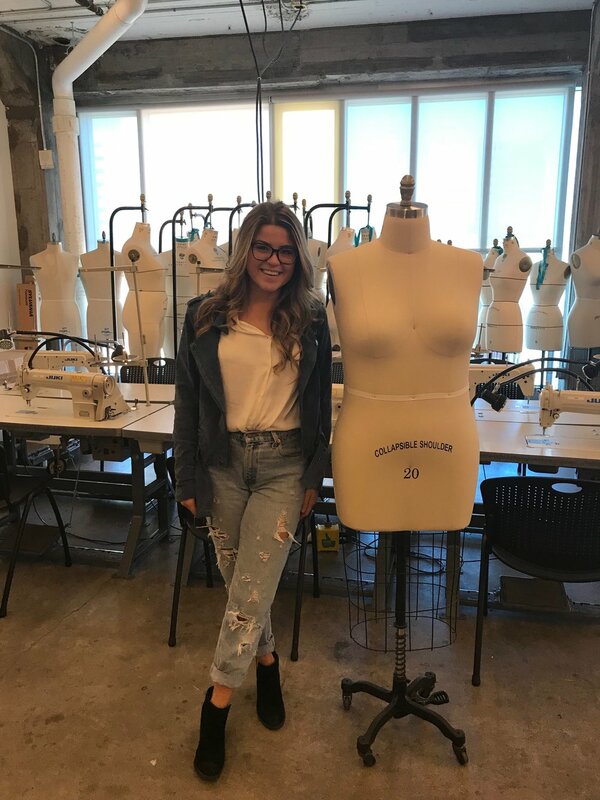 Created by Emme and KBL Group International, the capsule spotlights two winning dresses from Fashion Without Limits (FWL) EMME Award™ winners at Syracuse University: Courtney Capazzi ’18 (2017 winner) and Kerry Phelan ’19 (2018 winner). The College of Visual and Performing Arts’ School of Design and Emme co-founded FWL in an effort to teach young fashion designers over the course of their four-year college education about inclusive fashion design as a foundational solution for approximately 100 million women above a size 12 in the U.S. who cannot find trend-forward, well-fitting and fashionable clothing options. Phelan, a senior majoring in fashion design with a minor in retail management, designed the 2018 lace peplum-winning dress in celebration of the female body and her powerful curves. Additionally, 2017 FWL EMME Award™ winner Courtney Capazzi’s sell-out, salmon-colored dress earned her another season online at Ashley Stewart in two color ways along with the ME by EMME® collection. ME by EMME® dresses are available for purchase online at AshleyStewart.com and range in price from $59.50 – $69.50. For more information about Emme and FWL, visit and follow @Supermodelemme on Instagram, Facebook, Twitter and at www.emmestyle.com/fashionwithoutlimits. For more fabulous ME by EMME® upcoming dress designs, visit Ashley Stewart. Follow @ByAshleyStewart and @ByAshleyTV on Instagram, Facebook and Twitter. Ashley Stewart is a global fashion and lifestyle brand that has propelled itself to be on the vanguard of social commerce and purpose-driven business. Since its founding in 1991 in Brooklyn, New York, Ashley Stewart has always stood for uncompromising style, fashion confidence and empowerment for the woman who flaunts her curves. Today, Ashley Stewart offers the hottest looks with 88 stores across the United States, a leading and global e-commerce presence at AshleyStewart.com, a powerful social media presence @byashleystewart and a growing multimedia and events arm at AshleyTV. Every year, through the Finding Ashley Stewart Tour, Ashley Stewart traverses the country looking to recognize women who embody the ideals of the Ashley Stewart women: kindness, resilience, confidence and community leadership. Through #ASGives, Ashley Stewart engages in programs such as the #AshleyCollegeTour to make long-term investments into the communities that have supported the brand for close to 30 years. FWL is a global initiative where young designers in fashion design schools are taught an inclusive fashion education (pattern making, draping, illustration, design and grading) for women size 0-24 and above. FWL’s mission is to strengthen the impact of fashion design in women's lives and the global economy. Thank you Ashley Stewart and Congradulations Courtney!!! Oh, what 2017-2018 has been! It was an utter joy to see through a student's eyes the joy of having her design become a reality, like I did with Syracuse junior Courtney Capazzi in 2017. Quite an eye opening experience for us all as there were hundreds of decisions to make, scheduling and rescheduling at nauseam, the ups and downs and finally the joy of birthing a dress into production---all around Chinese New Year. If I hadn't had a few clothing lines of my own over the last two decades, I would have had a heart attack with Courtney, but no, all rolled along and we got to the end with smiles and astonishment. Needless to say, not too many young designers can say they had a design go into production and go on sale one day before graduation with a major retailer! But you did just that Courtney, Congradulations!! Thank you Ashley Stewart CEO James Rhee and dress buyer Aretha Blake #Ashleybabe for believing in Fashion Without Limits and in Courtney's winning design - you made this happen, hats off to manufacturer KBL Group Intl' + Tina and Hannah --the best design team duo-- you brought Courtney's design come to life, and a major bow goes to Syracuse University School of Design Dean Tick and Director James Fathers with Professors Jeffrey Mayer and Todd Conover at the helm, and Adriana Gorea among other faculty, your all- in leadership for an inclusive fashion education at Syracuse University Design School at the College of Visual and Performing Arts, inspires me every day to do more! Awarded for outstanding portfolio and design work, and winner of 2017 Fashion Without Limits Design Competition for outstanding plus size design for the Fashion Without Limits program. Need a great size inclusive junior designer, Courtney is your next hire! More of Courtney's work and portfolio can be found here.